Bodipure offers a line of foot care products by Italian brand LakShmi. 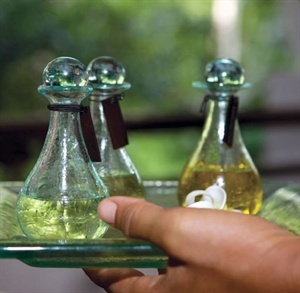 Called Pada, it draws on the traditional wisdom of Ayurveda, aromatherapy, and other natural healing systems. Americans' fascination with Eastern philosophies and practices is playing out in salons with fresh twists on manicures and pedicures. In Ayurvedic nail care, ancient Eastern medicine blends with new-age Westerners’ quest for better health, greater natural beauty, and longer life.